Noel Network & PC Services Inc should be right at the top of your list, when you’re searching for outstanding IT support and computer repair services in Brooklyn. 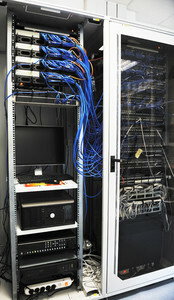 We have been offering business in Brooklyn with our exceptional IT services for over 20 years and at competitive rates. We have got the best IT professionals as well as the resources to provide businesses with high quality IT services. Very few firms can match with us in terms of quality and dedication when it comes to Computer Repair Brooklyn NY as we have a proven track record of meeting the best satisfaction of our clients. With our capable assistance, we have been playing a superior assistance to our clients all the way. We can also provide your business with integrated LAN and WAN support apart from all the other IT network support services that we offer. We make sure that our standards remain high, since customer satisfaction is important to us. Our dedication and commitment towards offering quality computer repair and network support services in Brooklyn is one of the reasons why Noel Network & PC Services Inc., is highly rated by businesses in Brooklyn. We are highly trusted in the arena of Brooklyn Computer Repair since we implement highly professional practices and demonstrate excellence in each of our jobs. Brooklyn Computer Repair Services has been revolutionized with our presence since we have been able to show our superior capabilities to maintain the systems of our clients in the best shape possible. Don’t settle for anything less than the best when it comes to IT support and network solution providers in Brooklyn. Get in touch with us today, and have our experts handle all of your IT related concerns.